This guide will help you find reliable information on engineering and technology. 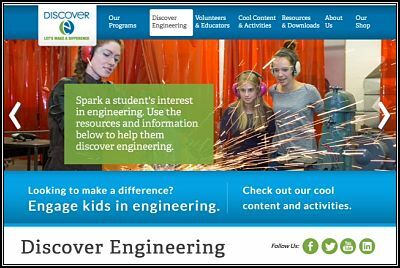 The DiscoverE (formerly National Engineers Week Foundation) mission is to sustain and grow a dynamic engineering profession through education, outreach & activities, and volunteerism. DiscoverE and its working coalition of 100+ organizations is known as one of the most effective collaborations today, recognized by corporations and engineering societies, and mentioned in two reports by the National Academy of Engineering. The Emerson Center for Engineering and Manufacturing opened in fall 2004, and offers classes and training opportunities to meet the technical and workforce needs of the region. The 31,000-square-foot facility features state-of-the-industry tooling and equipment, including 14,000 square feet of laboratory space and classrooms. 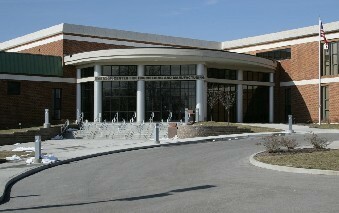 The Center for Workforce Innovation (CWI) is located in a 32,000 square foot building adjacent to the Florissant Valley campus. This new facility will positively impact enrollment and instruction by serving more than 500 students annually through the creation and expansion of innovative workforce programs. CWI houses six aerospace labs; a large equipment lab; classrooms and three technical training labs (Programmable Logic Controllers, Industrial Maintenance Training, and Green Technologies and Sustainable Construction). See Also: Explore the professional associations under the "Websites" tab in this guide. An article from the American Society of Mechanical Engineers (ASME) on the history of Mechancial Engineering. The Department of Industrial and Engineering Technology at Southeast Missouri State University, in cooperation with St. Louis Community College, is providing the opportunity for students in the St. Louis region to complete the requirements for a bachelor of science degree in Technology Management: Technology Management online. This degree-completion program requires that students seeking admission must first satisfactorily complete an associate of applied science degree from an accredited institution in an industrial or engineering technology related field with a minimum 2.0 grade point average (4.0 scale). Read more about the SEMO Bachelor’s Degree Completion Program and for more information on the online degree completion program, please visit http://www.semo.edu/iet/academics/online-bs-technology-management.htm.